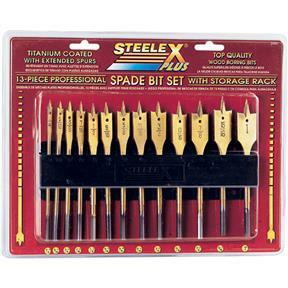 Spade Bit Set 13 pc. 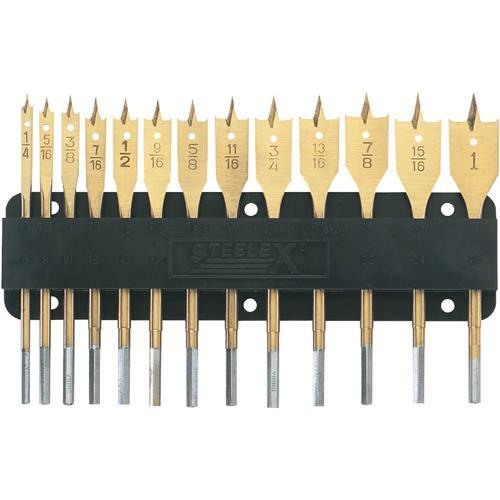 Steelex Plus - Spade Bit Set 13 pc. For general wood boring applications, these quality spade bits feature extended cutting spurs for crisp edges and TiN coating for long dependable life. 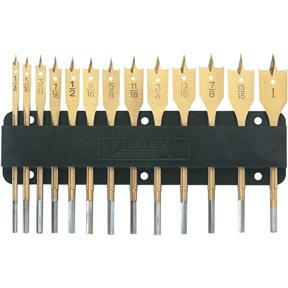 Includes 1/4", 5/16", 3/8", 7/16", 1/2", 9/16", 5/8", 11/16", 3/4", 13/16", 7/8", 15/16", and 1" titanium nitride coated spade bits. Wall rack included.